Rodel Fishery is a picturesque Trout and Salmon fishery set in South Harris. The fishery has a catch limit policy in place for Loch Thorro and the Lingerbay system, therefore barbless hooks are the order of the day and fishermen are encouraged to complete a returns form for all fish caught. The Rodel System is set in the shadow of St. Clements Church and The Rodel Hotal. This is a modest system comprising of two lochs, Loch Thorro and Loch Thorsagearraidh both offering varied sport for fly and spinner. 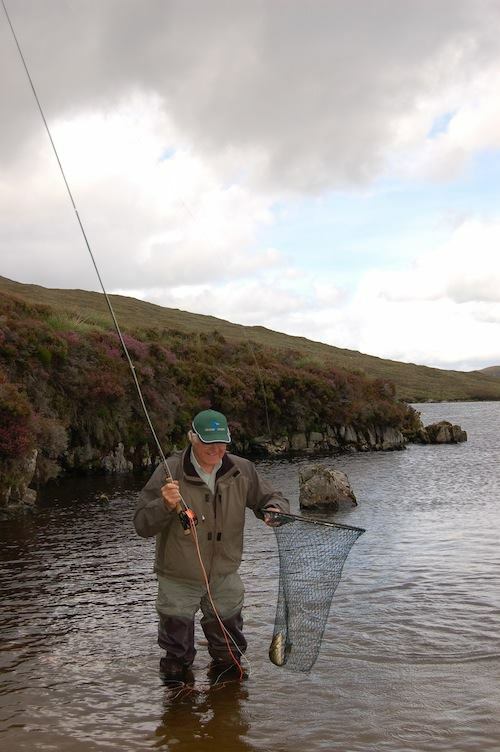 The fishing in Loch Thorro is easily accessible from the road thus making it suitable for the less energetic. Salmon and Sea Trout, good quality Brown Trout and Arctic Char are present on this system. The Lingerbay Fishery system is less than 2 miles from Rodel set in the rugged landscape of the east coast of the Isle of Harris with fantastic views across the Minch to Skye. Lingerbay system consists of three freshwater lochs, Loch na Criadhach, Loch a’Choire and Loch Alatair, a sea loch, An Carrie and connecting rivers. Salmon, Sea Trout and quality Brown Trout fishing. 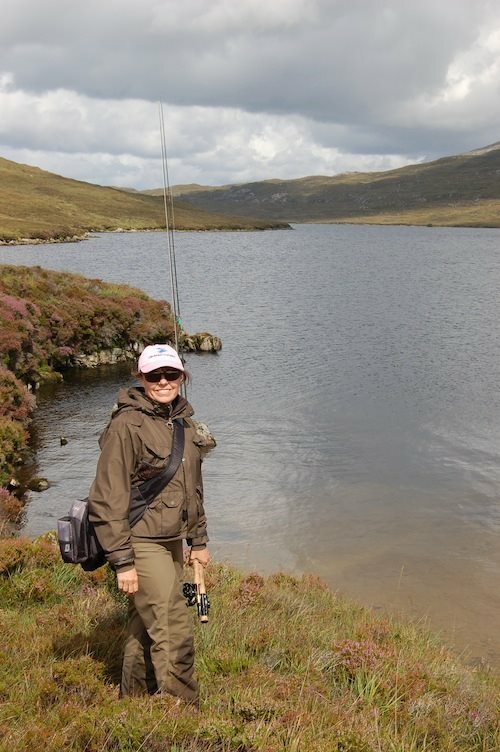 The Brown Trout Loch system is located between Rodel and Lingerbay and is known as Lochan An Uamh. The quality of the natural brown trout on these Lochs is next to none with fish weighing up to three pounds quite common. Again this is a fly and spinning fishery with the Mepps spinner proving to be the most successful. The fishery is ideal for novices and children.